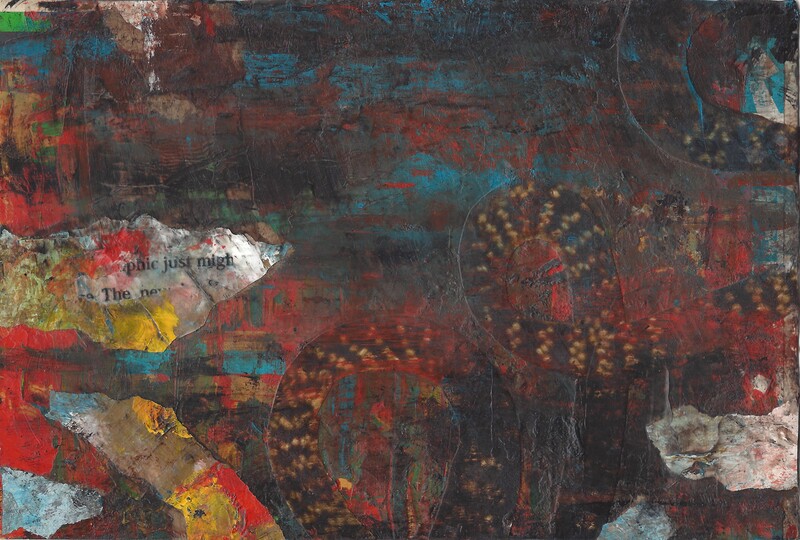 Sixth in a series of available mixed media collage/paintings that act as adjuncts to my larger paintings. Certainly the above quote hints at the poetic resonance present in the visual arts as well. When this liminal quality is missing, there is no there there.